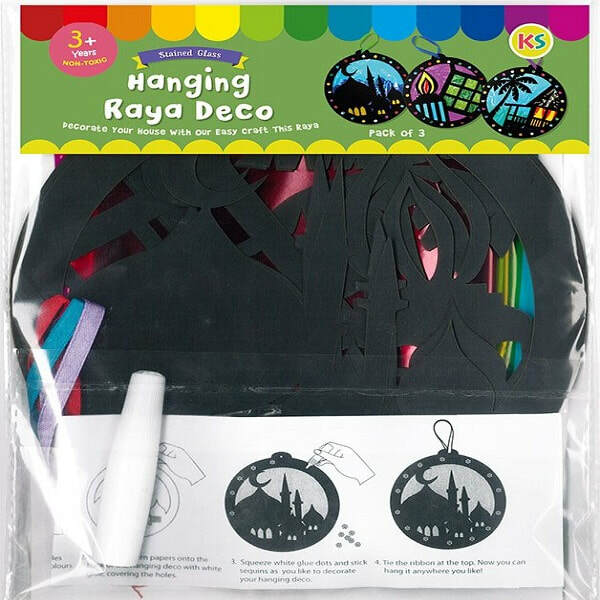 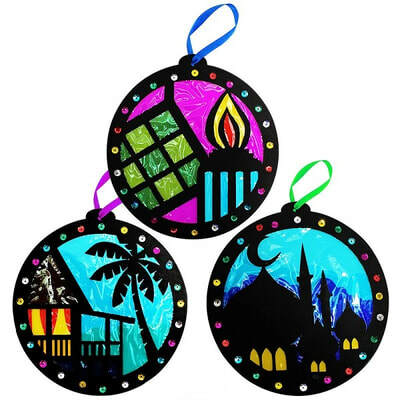 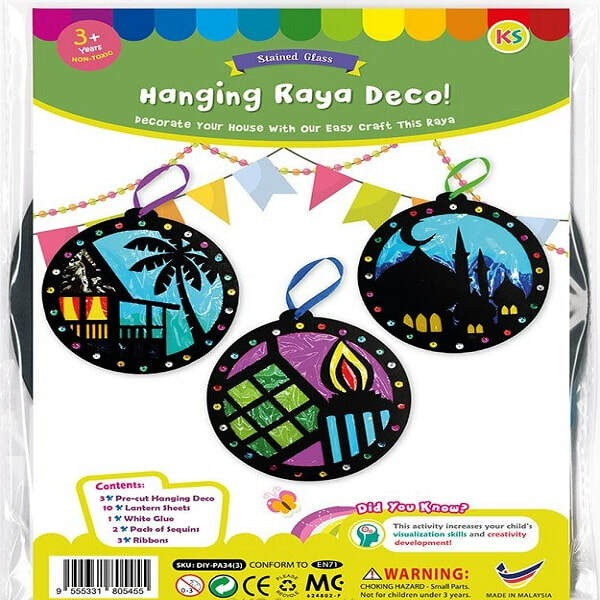 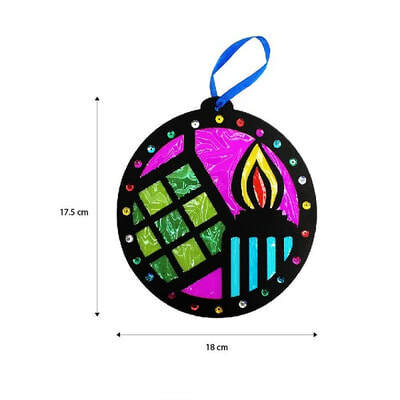 ​Create these colourful 'stained glass' effect paper hanging deco and liven up your Hari Raya celebration! 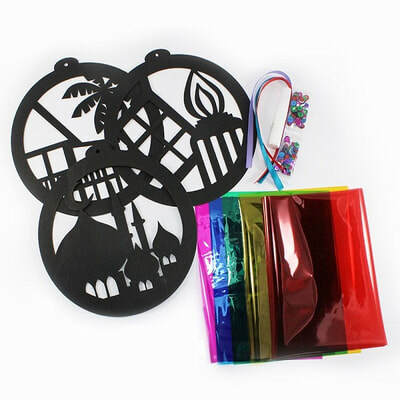 Have fun cutting and assembling lantern sheets and paste them where you'd like them to be on the pre-cut design. Stick beautiful sequins for final touches!